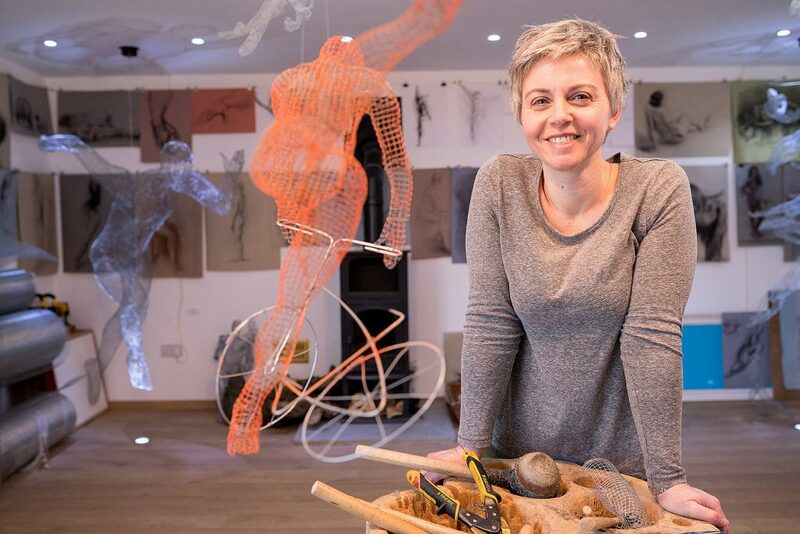 My steady working project over several months has now come to the fore. 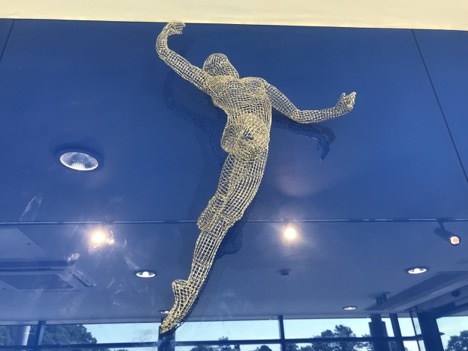 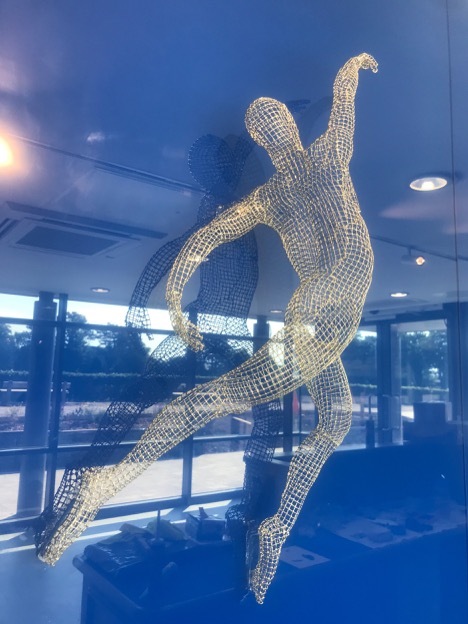 The completion and installation of a commissioned sculpture for Sedbergh School in The Hirst Centre takes the form of a wall of athletes. 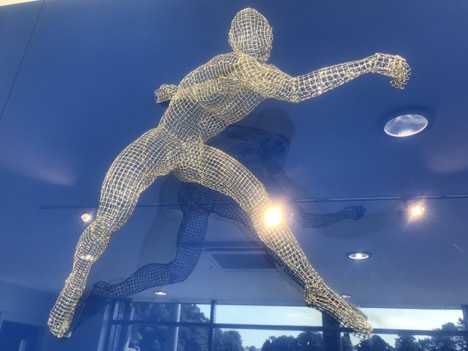 It’s great to see a project come to fruition. 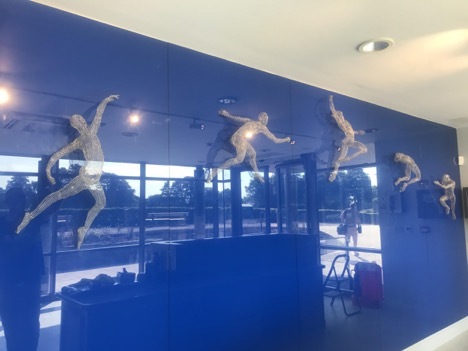 The space is a five metre long deep blue glass wall, against which the five athletes are placed.